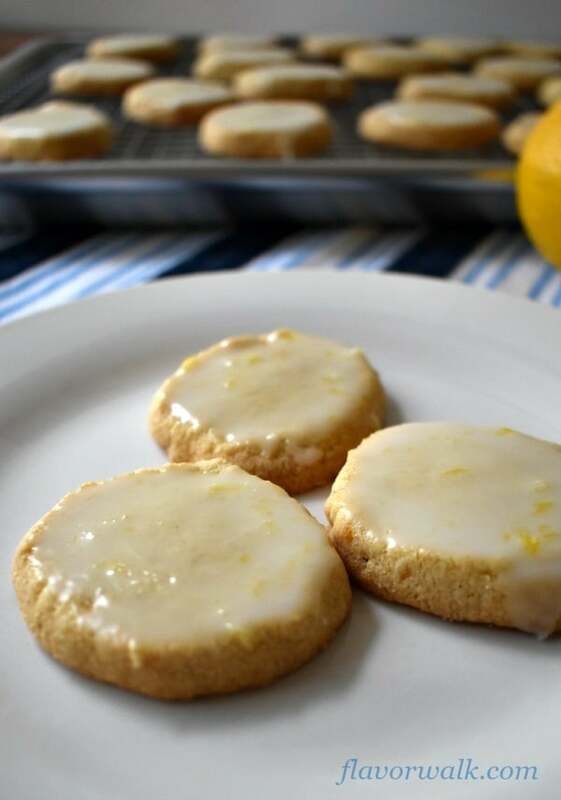 Lemon Cookies with Lemon Glaze are light, lemony, and bursting with flavor! 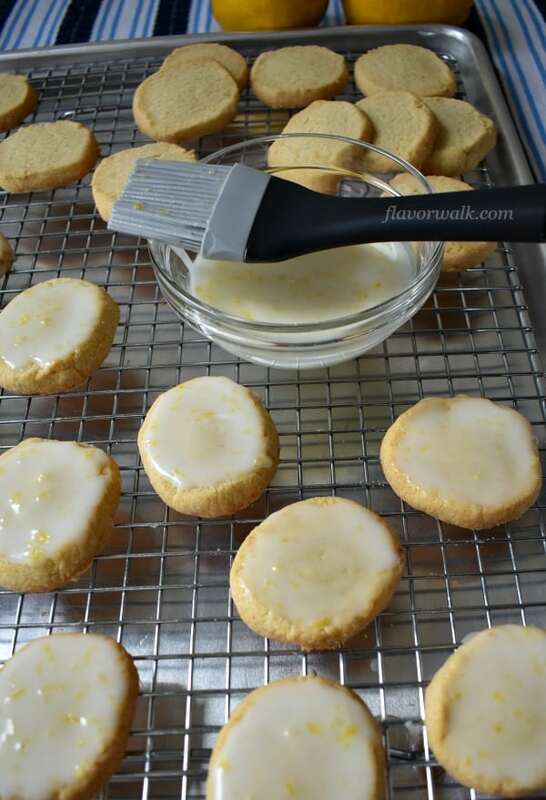 The fresh lemon juice and zest, along with the glaze, gives these cookies a perfect balance of sweet and tart!! When’s the last time you made some slice and bake cookies? It’s been a l-o-o-n-n-n-g-g time for me. I forgot how easy they are to make. 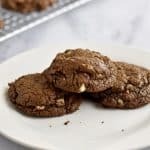 These cookies are adapted from a recipe in Trisha Yearwood’s cookbook, “Trisha’s Table“. It’s the first of many recipes in her book I look forward to making. 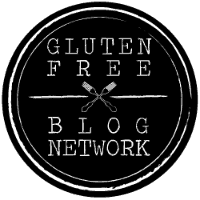 Adapting recipes into gluten free versions is something I love doing. My adaptations don’t always turn out, but that doesn’t stop me from continuing to try. 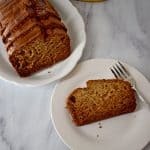 😊 If a recipe calls for 2 cups or less of regular flour, I have a great chance of creating a gluten free version that is as good as the original. 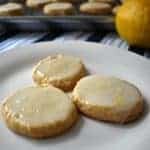 Lemon Cookies with Lemon Glaze take longer to make than your average drop cookie. 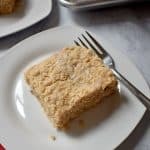 You have to factor in the 30 minutes the dough needs to chill in the fridge, but once the dough is ready to slice, you can have the cookies on the sheet pans and in the oven very quickly. 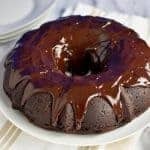 The glaze is really easy to make. You just need some powdered sugar, a little lemon zest, and some freshly squeezed lemon juice. Whisk it all together and you’re ready to go. I recommend using a pasty brush to apply the glaze to the cookies. You could dip the cookies in the glaze, but using the brush enables you to glaze the cookies more quickly. Place each freshly glazed cookie on a cooling rack, placed over a sheet pan, and wait about 10-15 minutes for the glaze to set. Freshly squeezed lemon juice gives these cookies a bright, fresh flavor. You could use bottled lemon juice, but the flavor from the fresh lemon juice can’t be beat! Refrigerate the dough for 30 minutes or longer. If you’re used to making drop cookies, it can be tough to wait for the dough to chill, but it’s really a must. The dough will be so much easier to cut in 1/4 inch slices after it has firmed up in the fridge. Allow the cookies to cool before adding the glaze. If the cookies are still warm, the tasty glaze will slide right off. Use a pastry brush to apply the glaze. You can put the glaze in a shallow dish and dip the tops of the cookies, but it works really slick to “paint” the tops of the cookies with the brush. 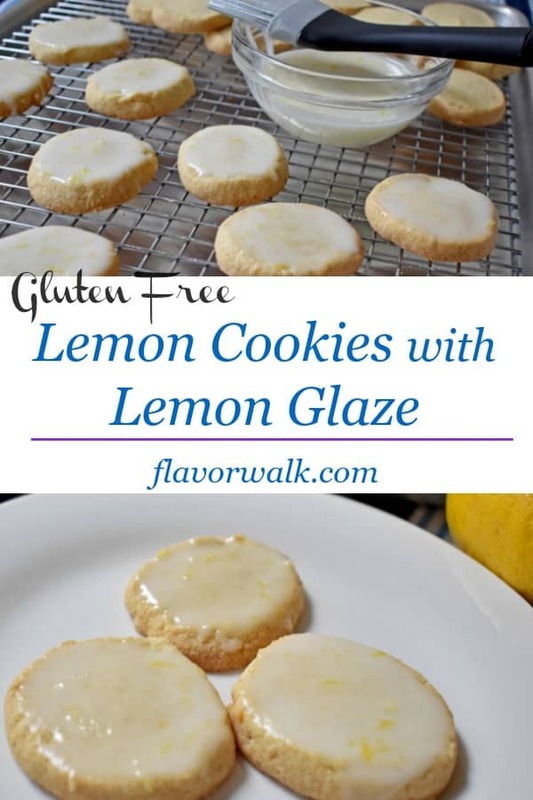 These cookies are pretty good without the lemon glaze, but with the glaze they’re incredible! Jim took some to work and they disappeared quickly. My co-workers also loved these cookies. 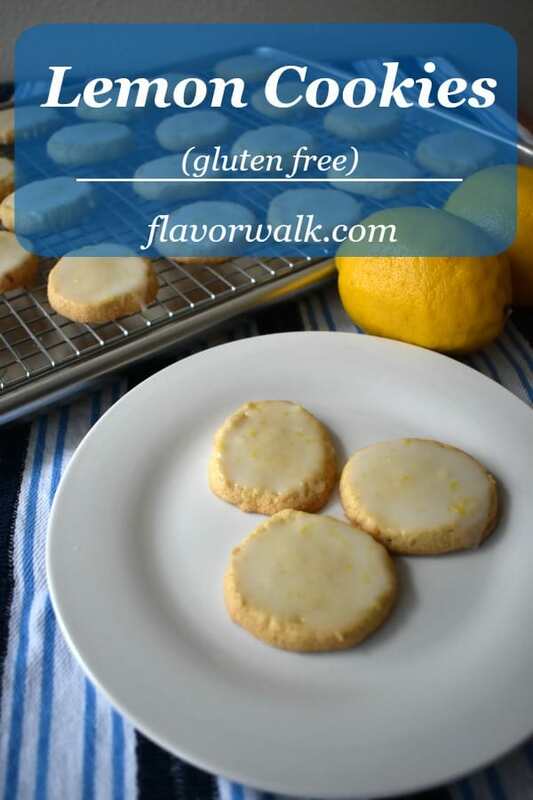 If you’re looking for an easy to make cookie, that’s bursting with lemon flavor, give these Lemon Cookies with Lemon Glaze a try. I bet they’ll add a little sunshine to your day. Enjoy!! 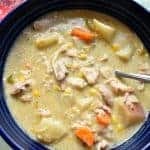 LOOKING FOR MORE RECIPES WITH FRESH LEMONS? 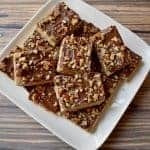 If you liked this recipe, follow my Gluten Free Cookies board on Pinterest. 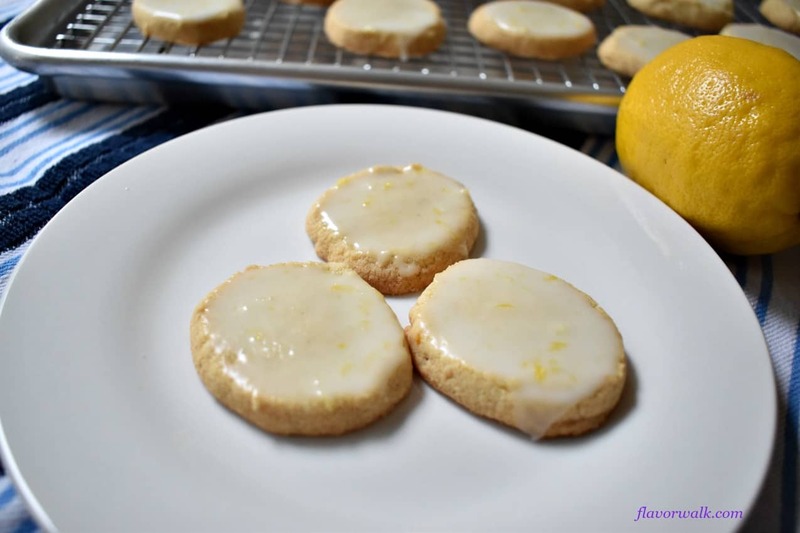 Lemon Cookies with Lemon Glaze are light, lemony, and bursting with flavor! The fresh lemon juice and zest. along with the glaze, gives these cookies a perfect balance of sweet and tart!! 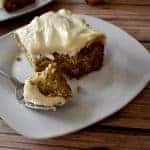 Cream together the softened butter and sugar until light and fluffy. Add the egg yolks, vanilla, and lemon zest and mix until completely combined. Slowly mix in the flour, about a 1/2 cup at a time, until all the flour is incorporated into the dough. Work the dough, with your hands, into a ball and then divide the ball in half. Form the two sections of dough into logs about 2 inches in diameter. Roll the logs in waxed paper and refrigerate for 30 minutes. Line baking pans with parchment paper and preheat oven to 350 degrees. Bake the cookies for 15 minutes, or until the edges are lightly browned. Remove from the oven and let cool for 10 minutes before removing to a wire rack to finish cooling. While the cookies are baking, make the glaze by whisking the powdered sugar, lemon zest, and lemon juice together in a small bowl. Once the cookies have cooled, use a pastry brush to cover the tops of the cookies with the glaze. Set the glazed cookies on a cooling rack, placed over a baking pan, and allow the glaze to set before serving. Use freshly squeezed lemon juice for the best results. 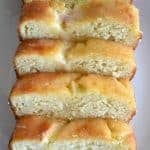 Refrigerate the dough for 30 minutes or longer. The dough is easier to cut when chilled. Allow the cookies to cool completely before applying the glaze. Use a pastry brush to apply the glaze. Recipe slightly adapted from Trisha's Table. Lemon!!!!! These are awesome. Not too sweet but definitely tangy. I would have to hide these or hubby would eat them all. I’m glad you liked them Laveda. 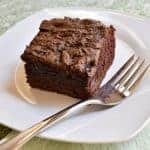 Thanks for taking the time to rate the recipe and leave a comment. Yum – these are great!